ASTM A335, UNS K41545 , DIN 1.7362. WERKSTOFF NR. 1.7362 Piping, AS UNS K41545 Pipes , Chromium-Molybdenum UNS K41545 Pipes, Alloy Steel DIN 1.7362 Pipes, Alloy Steel UNS K41545 Pipe, ASTM A335 Chrome Moly P5 Pipes, Alloy Steel P5 Seamless Pipes,ASME SA335 Alloy Steel P5 Seamless Pipes Supplier in Mumbai, India. 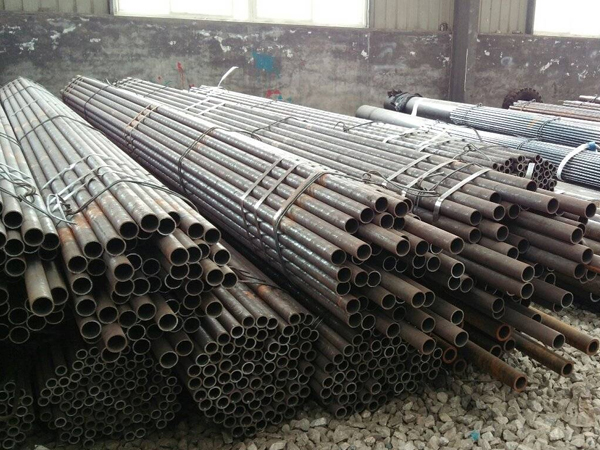 Alloy Steel Seamless Pipes, 1.7362 Alloy Steel Pipes, P5 Pipes, Alloy Steel P5 Pipe Price List, Alloy Steel Grade P5 Pipes, P5 Alloy Steel High Pressure Pipe, Alloy Steel P5 Pipes, ASTM A335 P5 Pipes, UNS K41545 Chrome Moly Pipes, ASME SA335 Alloy Steel P5 Pipes, P5 Chromoly Pipes, P5 CrMo Pipes in Mumbai . As an acclaimed manufacturer of the industrial market, Jayesh Metal is involved in providing a huge range of the Alloy Steel P5 Pipes. They supply their product all around the world and now become the best leading brand in the current industry. Their products were designed under the supervision of the experts and skilled professional who are having well qualified. They make the product by using the best quality of the raw material and with that sophisticated technology is used for making it a quality product of all time. The customers who are connected to them visit them again because of their quality of the product. But the main reason behind their returning is the Alloy Steel P5 Pipes which has now become an essential part of the industrial equipment. This product is the combination of the quality chemical composition that offers the tensile property and perfect hardness that’s the requirement of the product. Each pipe goes under the testing zone where it goes for the hydrostatic test which helps in testing the length of the pipe. Every pipe shall go under the examination under which its every feature is tested well and check whether it is suitable for the working or not. Talking about is outer dimension then it goes with the 19.5 to 11403mm, on another hand its length is maxed 16000mm. Alloy Steel P5 Pipes wall thickness also starts from 2.00mm to 14mm. Philippines, Libya, Spain, Macau, Trinidad & Tobago,Tunisia, Germany, Iran, Ghana, Chile, Nepal, New Zealand, Oman , Iraq, Vietnam, United Arab Emirates, Switzerland, Belarus, Ecuador, Finland, Hungary, Tibet, Canada, Ireland, Azerbaijan, Iran, Belgium, Mexico, Greece, Austria, Russia, India, Norway, Costa Rica , Poland, Turkey, Ukraine, Bolivia, Israel, Bahrain, Kuwait, Morocco, Portugal, Bulgaria, Slovakia, Australia, Netherlands, Denmark, Argentina, Italy, Afghanistan, Bangladesh, Qatar, Chile, Thailand, Poland, Colombia, Yemen, Gambia, Jordan, Estonia, Hong Kong, Czech Republic, Peru, Indonesia, Zimbabwe, Algeria, South Africa, France, Japan, Namibia, Angola, Croatia, Mongolia, Taiwan, Sweden, Gabon, Serbia, United Kingdom, Bhutan, Kazakhstan, Romania, Lithuania, Nigeria, Nigeria, Puerto Rico, Saudi Arabia, Singapore, Sri Lanka, South Korea, Brazil, Venezuela, Lebanon, China, Kenya, Malaysia, Egypt, Mexico, United States, Pakistan. Vung Tau, Ahvaz, Hanoi, Faridabad, Al Jubail, Visakhapatnam, Courbevoie, Howrah, Ludhiana, Abu Dhabi, Aberdeen, Al Khobar, Port-of-Spain, Surat, Haryana, Manama, Rio de Janeiro, Hyderabad, Lahore, Los Angeles, Lagos, Bhopal, Tehran, Melbourne, Kuala Lumpur, Perth, Edmonton, London, Karachi, Ranchi, Algiers, Ho Chi Minh City, Bogota, Istanbul, Doha, Muscat, Mumbai, Baroda, Jeddah, Secunderabad, Chandigarh, Santiago, Granada, Mexico City, Kanpur, Gurgaon, Chiyoda, New Delhi, Singapore, Sharjah, Seoul, Brisbane, Dallas, La Victoria, Indore, Houston, Rajkot, Ernakulam, Pune , Bengaluru, Cairo, Vadodara, Jaipur, Bangkok, Riyadh, Colombo, Milan, New York, Busan, Caracas, Chennai, Kuwait City, Toronto, Moscow, Atyrau, Navi Mumbai, Thiruvananthapuram, Dammam, Hong Kong, Geoje-si, Nashik, Montreal, Sydney, Jamshedpur, Ahmedabad, Noida, Kolkata, Dubai, Calgary, Nagpur, Thane, Coimbatore, Pimpri-Chinchwad, Ankara, Petaling Jaya, Ulsan, Madrid, Jakarta, Gimhae-si.